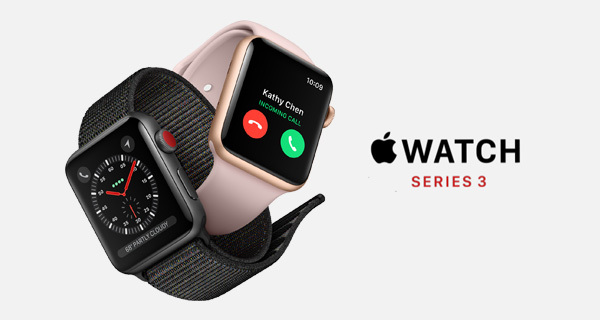 Apple Watch Series 3 with Cellular LTE connectivity is official. Here are details on it, including price and release date. As expected, the first media event held at the new Steve Jobs Theater in Apple Park, dedicated to the late Apple co-founder, has been packed full of announcements and insights, with many expressing delight at the introduction of a LTE-enabled Apple Watch. As always, we have all of the details below. Apple Watch Series 3 isn’t trying to be too grandiose in its appearance or what it is offering to the technology community. The Cupertino-based company is clearly happy with where Apple Watch is at from an aesthetic perspective, which has been proven by the fact that Apple Watch Series 3 keeps the same design as previous two iterations of the wearable. The same physical size and aesthetic means that all existing Apple Watch bands will still function on this new model for those who choose to upgrade. That said, there’s the slightest of increase in the height of the charging end of the Series 3 Apple Watch, but it should pose no hurdle with existing accessories. Apple has also given the Series 3 a little something to recognize it by, with the Digital Crown getting a red highlight. True to recent speculation and conjecture, the company is launching Apple Watch Series 3 both in cellular and non-cellular variants. The difference between the two is that the cellular model features an embedded Apple SIM card which allows Apple to achieve the goal of getting LTE capabilities into the wearable so that it can be used independent of the iPhone. 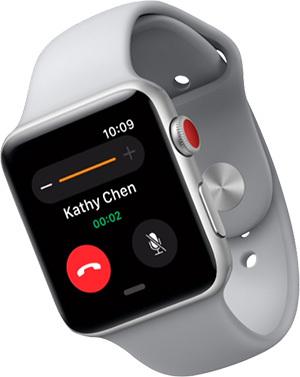 There were prior concerns that this may not happen due to battery concerns with the device continuously polling for cellular network and the like, but Apple appears to have overcome those concerns to produce a version of the Apple Watch which can access network features and receive and send data independently of a connected iPhone. It’s important to note that the cellular model won’t have its own number, and instead will be using the same phone number as on the iPhone. The introduction of the new S3 processor also happens to make Siri even faster now, with the digital-assistant also gaining the capability to speak back. Apple has also upgraded the WiFi and Bluetooth chip on this brand new wearable, with the embedding of a new W2 chip. New in is a Barometric altimeter and an all-day battery life. Yet again, we don’t know the rating of exactly how waterproof the new Apple Watch Series 3 is, but as per Apple, it’s latest wearable is completely “swim proof”. As expected, Apple has rolled out a new range of Apple Watch Hermès based on the Series 3, alongside the Nike+ versions of the Apple Watch as well. However, the real deal, is the stunning new Apple Watch Edition in Gray Ceramic. 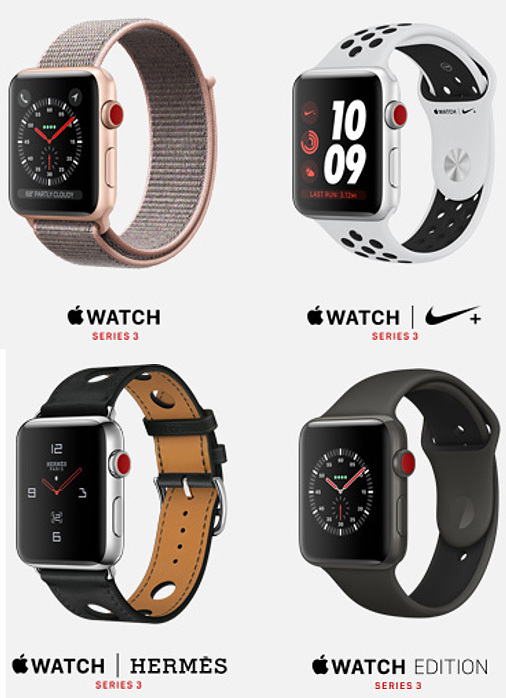 Apple Watch Series 3 (GPS + Cellular) will be available in Gold, Silver or Space gray aluminum, or Silver or Space Black stainless steel paired with a variety of bands. Apple Watch Series 3 (GPS) will be available in Gold, Silver or Space Gray aluminum cases. As expected, the new Series 3 comes running watchOS 4 right out of the box. There is undeniably plenty to look forward to as a result of this Apple event. For those who were sticking around for Apple Watch Series 3, and who got exactly what they wanted with a LTE-enabled intelligent timepiece, the hardware will start shipping on September 22 with pre-orders starting on September 15. The Apple Watch Series 3 Nike+ however, won’t be shipping out until October 5, and that too in limited quantity. Can I use it to txt then? You can txt and call on current gen, but I guess you mean over the LTE chip? 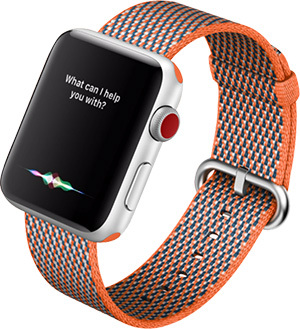 I like the idea that the watch can now talk back especially useful for siri responses. Yeh I work at Amazon and they don’t allow cellphones inside the work area but they allow smart watches. I need a smart watch that can txt so I can get emergency txt from family.